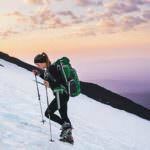 Plan Your TripAsk OregonOutdoor AdventureWhat are the best fall camping spots near Portland? Everything within 3 hours of Portland right now (October) is going to be gorgeous. So I’ve put together a few lists for you. Keep in mind that the weather has a tendency to change quickly, so make sure to double check before you take off… and bring a rain shell. Also a good thing to keep in mind is that you can camp for free in any National Forest area (i.e. Mt. Hood) as long as you adhere to Leave No Trace principles and are fine with hiking at least 100 yards off trail and away from running water. If you’re looking for campsites, specifically, you can get out recreation.gov and type any location into the search bar.